HOUSTON -- By winning the first two games of a three-game series, the Houston Astros successfully pulled even with the Seattle Mariners in the American League wild-card standings. The next step is to make a push for the Baltimore Orioles and the Toronto Blue Jays. 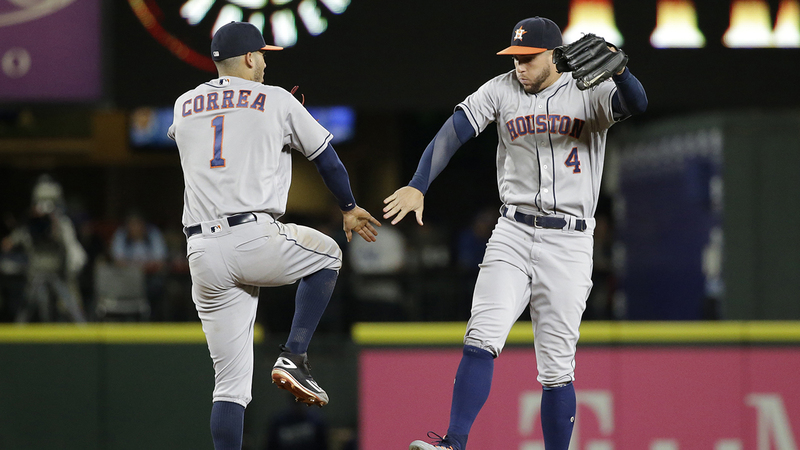 Houston's 2-1 win over Seattle on Saturday night not only moved the Astros (78-70) up in the wild-card standings, it moved them within three games of the co-leaders in the race. Baltimore and Toronto, the teams that currently hold the top spots in the two-berth wild-card race, lost Saturday to give Houston renewed hope. "Every series is huge now," Astros designated hitter Tyler White said. "We go out every day, try to take care of the task at hand and we'll see where we stand at the end."